Step Nine: Build the Project! 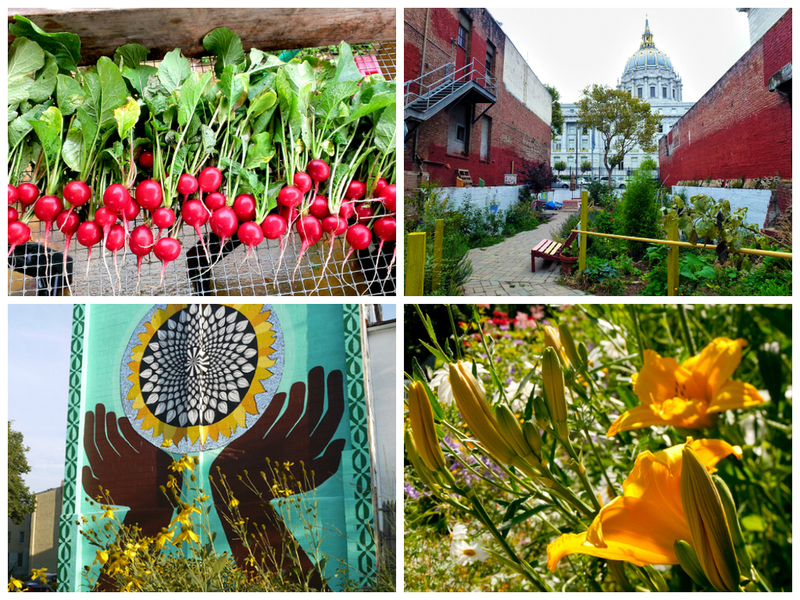 Gardens enrich a community through many different ways, from providing fresh food or a quiet place to relax to acting as a vibrant gathering place. Clockwise from left to right: Well Fed Community Garden, Please Touch Community Garden, The Gardens at Chewonki, and Sunflower Village at Franklin Square. Gardens and green spaces increasingly play a larger role in community development across the nation. Viewed as community assets, these spaces are revitalizing urban areas and encouraging healthier lifestyles by providing a place for outdoor recreation and relaxation. Building a garden or cultivating a green space has the potential to brighten up your neighborhood, mobilize community cooperation, and provide fresh produce and flowers. How can creating a green space transform your school community? How can documenting and sharing that transformation inspire other communities? Become a Smithsonian Gardens Green Ambassador! Teens and students, empower yourselves to become local leaders by making your school or community a healthier place by taking on Smithsonian Gardens’ challenge to design a green space. As local leaders, you will gain a better understanding of how to make a positive impact on your environment. You will be challenged to conduct research, present your findings, and design visual representations of the space. Students and teachers who complete this challenge will become Smithsonian Gardens Green Ambassadors, joining a national network of leaders who use gardens as conduits for community improvement. Design a green space or garden. Assemble a letter, images, and other media, documenting and explaining the impact and significance of your new community green space. Submit these materials to communityofgardens@si.edu and we will add your stories to the Smithsonian Gardens' Community of Gardens digital archive. While we encourage you to complete all steps involved in the design process, the steps represent optional guidelines, not requirements, for building a green space. Your class or group can become Green Ambassadors without completing every step of the challenge. As noted above, the only requirement for becoming a Green Ambassador is to build a green space and submit documentation and images of the green space to Smithsonian Gardens. For teachers: Download the challenge teacher packet here or on the left for lessons, national standards, and more detailed information. Students, follow along here on our website as you begin your journey.